Amish Originals is celebrating 25 years of bringing hand-crafted Ohio furniture to the Westerville Community! Seems so much has changed in the world since then, but one thing has not changed at all: Amish Originals has the same commitment to using solid American hardwood to build furniture using time-honored methods of construction. The result? 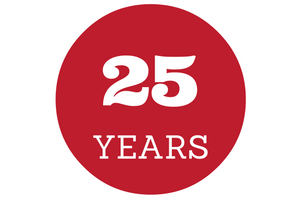 25 years of providing heirloom-quality furniture to Central Ohio. Thank you to all our customers who have become like family over the years. We are thrilled to be able to help you add—big and small—to the things in your house that help make it a home. Cheers to 25 more wonderful years!